The big day has been set, and now you have tons of wedding preparations to attend to. Choosing wedding rings and wedding bands, preparing the guest list, looking for a caterer, shopping for the perfect wedding dress, and a lot more. All of these are essential in putting together a memorable wedding, so remember to have all these on your wedding checklist. Selecting a wedding ring is not as easy as it looks. It requires a lot of thought as well. After all, it is the wedding band that binds the couple together and will be worn by the bride and groom for their entire married life, and therefore must be something that they would not get tired of wearing. The materials from which wedding rings can be made of have evolved through the years. However, the most popular are still those made from classic 14K or 18K yellow gold. Gold remain to be very popular both for wedding and engagement rings. Wedding rings and wedding bands made from white gold are also gaining popularity, it being very stylish looking and exuding a very modern aura, also white gold goes well with other silver and platinum jewelry, as well as with most clothing fabric. 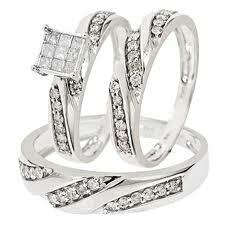 Platinum being one of the hardest metals is also a very suitable material for wedding rings wedding bands. For one, it is very durable and therefore will endure wear and tear for a very long time. Platinum wedding rings may also be a symbol for enduring love, that is if couple wanted a romantic twist in picking a wedding ring. Platinum wedding rings and wedding bands look very stylish and elegant as they look very similar to wedding rings and wedding bands made of white gold. However, platinum wedding rings and bands are the most expensive, but if the couple considers the fact that it is something that will last them a lifetime, then the cost probably would not really matter. Titanium is a popular material especially for wedding rings for men. It is light, long lasting, and is not as expensive as platinum. Titanium wedding rings and bands are similar to white gold rings and bands in appearance. The only different is that titanium rings and bands are so light you can hardly feel it when worn on your finger. Diamonds the hardest substance known to man, diamonds are considered as one of the most luxurious and sought-after gem and wedding ring material, with its beauty, purity and durability symbolizing long-lasting love. Note that the value of a diamond is determined by the 4 Cs: Cut, Clarity, Color, and Carat weight. Often times, the bride may want to match her wedding ring with the engagement ring. Of course, this is also something that has to be taken into consideration, especially if she wants to wear both rings on the same hand. When choosing a wedding ring, foremost consider your budget and then decide on the material. Also, having to wear your wedding bands for a really long time, it is also worth considering choosing something that would best work with your clothes and the other jewelry you usually wear. Above all, choose a wedding ring that you will be most comfortable in wearing. Today, conventional forms of wedding rings are those that consist of precious metals that are usually worn on the ring finger (the 4th finger) of the left hand. This practice stemmed out from the belief of the (hand heart connection) that a vein of blood from the 4th finger of the left hand goes directly to the heart. With the wide range in bands available today, one can choose from precious metals like yellow gold, white gold, silver, platinum, two-colored bands, studded bands and many more. Platinum is known for its strength and resistance to tarnish. Due to its high reflective finish, a platinum band should be embedded with diamonds or other stones. A perfect way to pamper your loved one is by gifting your partner with diamond wedding bands which are a reflection of your true feelings. The most popular stone that goes with a wedding band is diamonds. You can find all sorts of rings with different diamond sets. Many people invest in diamonds that match their personal taste, personality and lifestyle. A small, petite woman may prefer dainty channel-set hoops, while a tall, statuesque lady might wear large, round studs. Because diamonds last a lifetime and are women’s best friends it must define the persona of a wearer. Make sure the diamond wedding band goes with the engagement ring. With the help of the internet, you can easily find online stores that will be willing to sell wedding rings at highly discounted prices. Besides, these stores will also allow you to compare different models of wedding rings, and you can select the one which suits your needs the most. 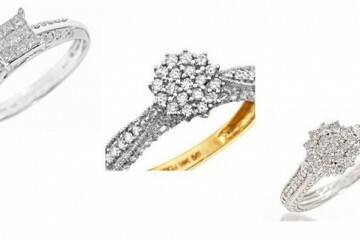 The biggest advantage of shopping online for wedding rings is that, the prices are competitive. As each of the online retail jewelers want to get new customers, the jewelers are willing to reduce the prices more than their competitors, which benefit the buyers. 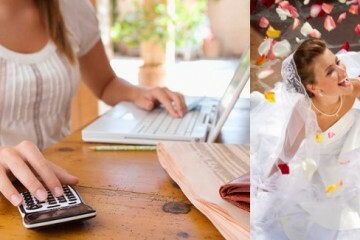 Engagement is regarded as the most important step towards getting married. Hence, it is important that you make the right choice, when you choose the engagement ring. Here are a few things that you should consider while choosing engagement rings. choose the stones. Diamonds are the most widely used engagement ring stones, other stones are, Tanzanite, Emerald, Ruby and Sapphire etc. choose the style. Understand your partner’s preferences so that you can choose the style of the engagement ring based on her personality. If she is sophisticated and traditional, you can opt for some of the contemporary or traditional wedding sets. Choose the quality. Make sure that the rings do not have any blemish, mark or spot and also ensure that they are made of high quality stones. Buy engagement ring. Many couples are getting away from the traditional brick and mortar store experience, shopping online is a great way to find the best deals. One of the best deals you can get on diamond jewelry is when you purchase rings as a set. 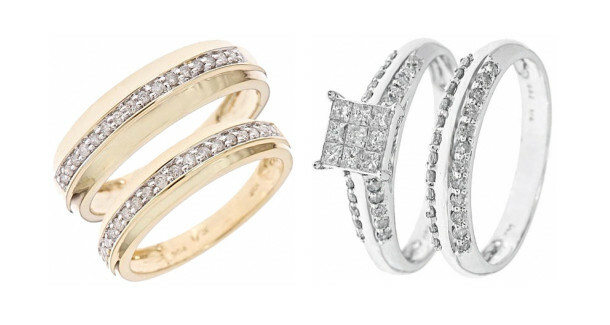 A trio wedding ring set represents your most affordable option. The Trio Ring Set comes with three rings, the engagement ring, ladies wedding band, and mens wedding band that all match one another because they are made together to be a set. The Trio Ring Set, offers an excellent value because it costs less to manufacture, market, and ship the rings as a package set. This savings is passed on to the consumer as well, especially if the affordable wedding ring set is purchased from a reputable online retailer with low overhead costs. Many jewelers such as My Trio Rings also offer a significant savings on two wedding bands bundled as a set or a bridal ring and an engagement ring bundled as a set, even if you don’t need an entire trio set. You can also explore Amazon’s extensive selection of diamond engagement bands. While shopping for a wedding band, check out both men’s and women’s styles in a variety of metals including yellow gold, white gold and platinum. If you’re on a budget, great deals can be found on wedding and engagement rings in the wide selection of sales and deals items.